Janet Minnix, president of Women of Grace USA, announces a new program in Women’s Leadership Studies in partnership with Grace Theological Seminary. Women of Grace USA, the women’s ministries arm of the Fellowship of Grace Brethren Churches, has partnered with Grace Theological Seminary, Winona Lake, Ind., to sponsor a program in Women’s Leadership Studies. The new curriculum was announced last weekend at the Women’s Leadership Summit, in Canton, Ohio, by Janet Minnix, president of Women of Grace USA. The classes will be held at convenient locations around the country. They are designed to help women in leadership grow in awareness of strengths and weaknesses as a leader in Christian ministry settings and develop incarnational ministry values and skills to help them connect with others so that God’s love is experienced through spiritual friendships and community. Among the classes to be offered are Spiritual Formation, Women and Scripture, Biblical Foundations of Leadership, Principles of Effective Bible Study and Teaching Ministry, Soul Care in Leadership, and Equipping Others for Ministry. 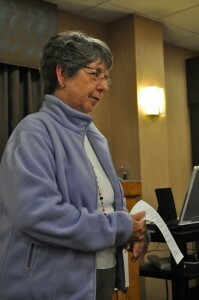 Dr. Christy Hill, a faculty member at the Seminary, has helped develop the program and will teach many of the classes. Classes are expected to begin in the Spring of 2011. Some will be offered as part of the semi-annual Grace Brethren Equip conference, which will be held next in Wooster, Ohio, from July 24-29, 2011. For more information, see the Women of Grace website (click here).